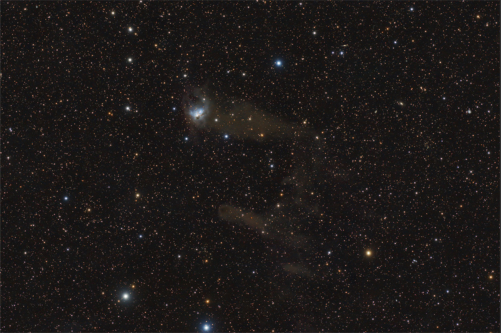 NGC 1788 is a reflection nebula in the constellation Orion. 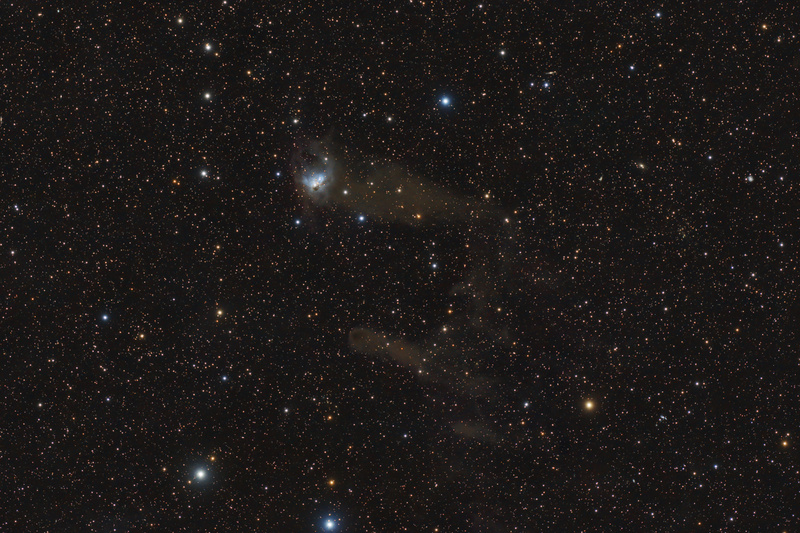 NGC 1788 is an unusual reflection nebula (bluish white at the center) surrounded by a glowing red ring of hydrogen gas. The stars inside the nebula are only about a million years old, which is very young compared to most stars. The ring of glowing hydrogen gas is energized by nearby hot, massive stars.